Our highly skilled Clinical Neuropsychology team works to understand, explain and optimise the cognitive, emotional and behavioural functioning of each patient. This involves taking into account their strengths and weaknesses in each of these domains and their impact on day-to-day life and relationships. The team is highly experienced in assessment, diagnosis and treatment of difficulties with cognition or thinking skills (including memory, attention, reasoning and perception). They are also highly specialised in assessing and treating the emotional and behavioural impact of neurological illness and injury. 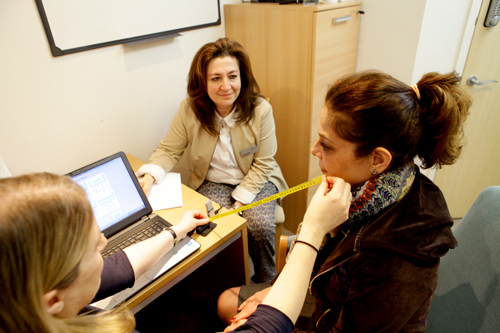 The neuropsychology team advise patients how to recognise, manage or overcome symptoms so that they can achieve their optimum level of functioning. They recognise and explain how these symptoms may impact on a person’s ability to perform tasks safely, to move about their environment, carry out their daily activities and engage in a positive social life. They recognise that neurological illness or injury has an impact on the whole family and so work closely with the patient’s family, friends and carers to help them to understand the condition and engage them in designing and using rehabilitation strategies that work for the family. The clinical neuropsychologists will arrange a detailed assessment of cognitive functions including memory, language, perception, planning, reasoning and attention, as well as behaviour and emotional well-being in patients with suspected or confirmed brain pathology. Therapy will include teaching patients to use strategies to manage or overcome these issues and to help to reduce symptoms of anxiety, depression and distress throughout their recovery. The clinical neuropsychology team at Ascot Rehabilitation is staffed by doctors of clinical neuropsychology and psychology assistants. They work closely with other members of the multi-disciplinary team, as well as patients and their families, to design a programme of rehabilitation goals which will address the patients’ overall aims.